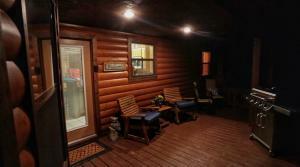 Weekends are booked until Late November-weekdays remain available at Mountain Vista cabin in Beavers Bend State Park. Our new professionally produced video tour is in production and will be posted on the homepage soon. We’re putting the final touches on it along with Kurt Boxdorfer of LegendMediaPros.com. Take the Talimena Drive. You’ll enjoy the breathtaking views and winding roads. We have scores of repeat guests visiting every October and November. They love the Talimena Drive. Hike the David Boren Trail. It’s a little difficult in places and I recommend you be in good shape before tackling it. Bass Fish with BrokenBowLakeGuide.com. My buddy Bryce Archey is the most accomplished bass guide on Broken Bow Lake. I’ve had a few great outings with him this year. Fall is a terrific time to fish in our area. Dine at Rolling Fork Takery. Named the 2017 top rated restaurant in Oklahoma by Yelp. Their amazing, fresh food has made it the top spot for locals and tourists near Broken Bow Lake. Mountain Vista has three king bedrooms with private decks and 50-mile views from the deck. Our guests love the acres of seclusion and upscale amenities. We never gouge guests with resort and insurance fees. 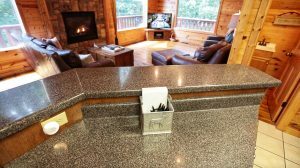 Always be cognizant of add-on fees when choosing a luxury cabin in Broken Bow. Download our Beavers Bend app for VIP offers. Follow Sherri on Twitter @BeaversBendChic and me @BeaversBend. Autumn is amazing in the Kiamichi Mountains of southeastern Oklahoma. Bookmark our blog and make your fall foliage season Beavers Bend cabin reservation soon! Jerry Isbell, a graduate of the University of Oklahoma, has a diverse background in corporate, entrepreneurial and international sales, marketing, philanthropy and media ventures. He began his career in media and marketing at KGOU Radio, KTVY Television and Remington Park Racetrack in Oklahoma City. Isbell also worked in marketing at a network affiliate in Minneapolis, MN. and has consulted internationally on sales, marketing and media projects. He was chosen as Oklahoma’s first field representative for Xerox Corporation's authorized agency program in the early 1990's. Isbell later enjoyed success at Curtis 1000, an international print communications company, and was named “Great Plains Sales Representative of the Year” in 1994 and 1995. In the late 1990's he worked in management at Commercial Financial Services for famed billionaire Bill Bartmann. He led a department of over 50 employees and was responsible for millions of dollars in monthly revenue. Isbell returned to Xerox in 1999 and won numerous Par Club awards while simultaneously completing the Xerox Management Program and earning certifications in Lean Six Sigma. He directed new business development territories that produced multi-million dollar annual sales in public, corporate and graphic arts sectors. He is a consultant for the Xerox Agent organization covering Oklahoma. He has traveled the United States and Europe on projects involving marketing, sales, media, social media and philanthropy including a project to begin an English speaking television channel in Paris, France. 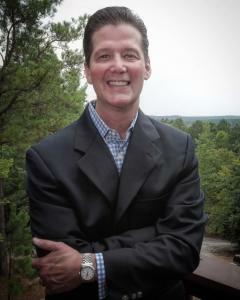 Isbell founded BeaversBendVacations.com, a popular luxury resort in the mountains of southeastern Oklahoma. This creation was featured in the Sooner State’s centennial celebration book, “Treasures of Oklahoma”, and his “Mountain Vista” Luxury Cabin marketing and videos have been featured in numerous markets across the United States. He is on the global board of directors of the Limbs for Life Foundation (limbsforlife.org) and has traveled internationally to promote their expansion and branding. Isbell is an avid bicyclist, weightlifter and has been involved in American Kennel Club dog shows with his nationally ranked Brussels Griffon and boxers for many years. He resides in Norman, OK with his wife Sherri, a senior administrator at the University of Oklahoma. Sherri was named the International Publishing and Management Association’s National Contributor of the Year in 2013 and President-Elect in 2017.